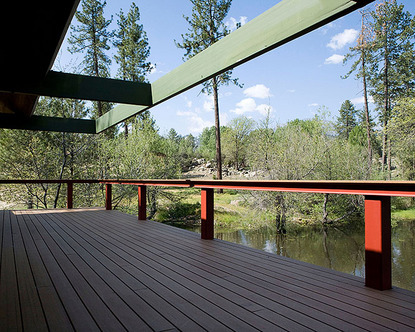 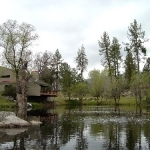 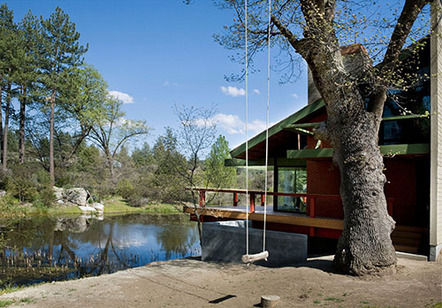 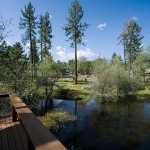 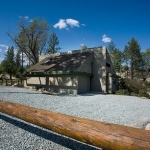 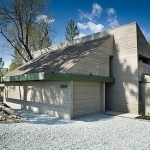 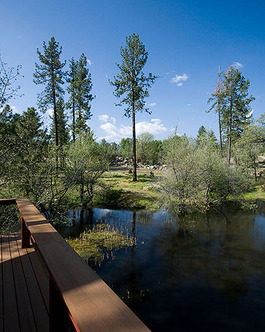 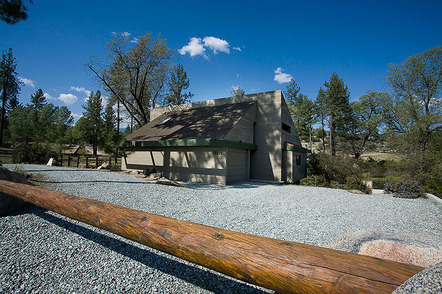 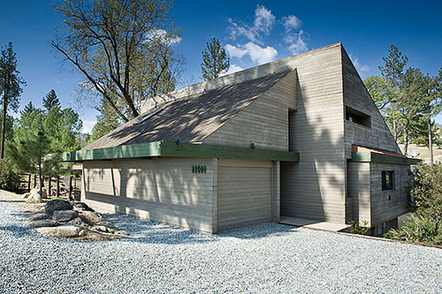 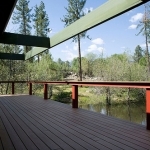 Robert Skinner’s house in Idyllwild California is located on 7.04 acres of land with a manmade lake and views of the Idyllwild Mountains and surrounding valleys. 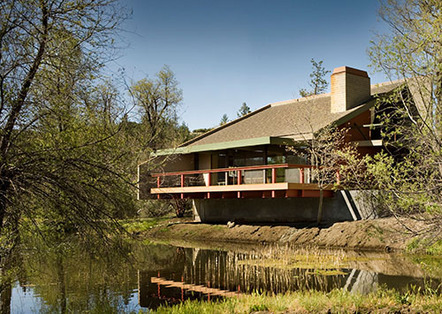 The Skinner House once served as Skinner’s personal vacation home and diverts from his preference for post and beam architecture, utilizing “ rugged massing” and a pitched roof. 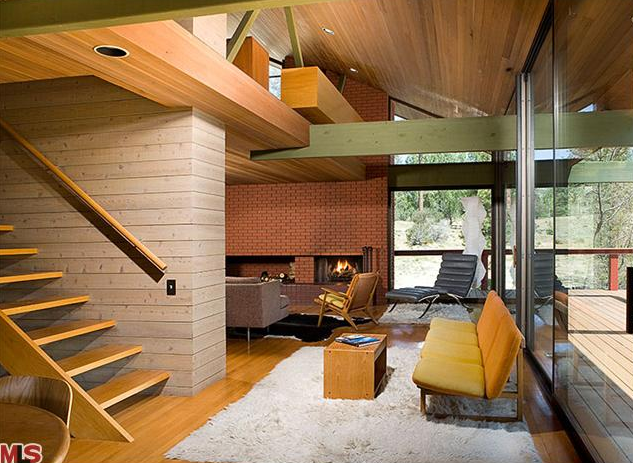 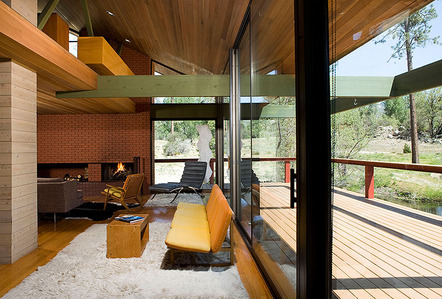 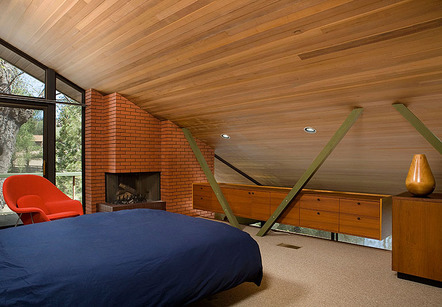 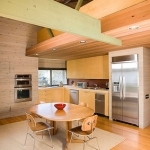 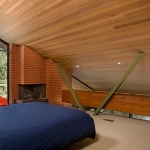 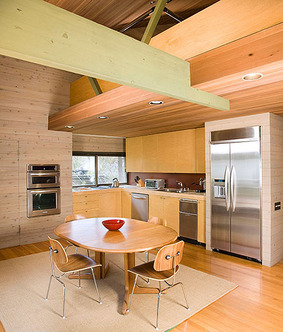 The two-story, two-bedroom and two-bathroom house is composed of redwood, oak, teak and white cedar wood. 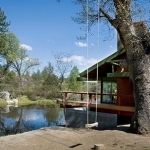 A balcony located on the first story of the house overlooks the lake and a floating staircase leads to a studio on the second story. 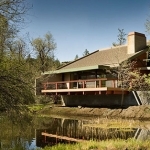 Michael’s work on the Skinner House included retrofitting the house with solar panels, restoring the house’s man-made lake from a deteriorated state, making the kitchen and bathrooms suitable for today’s standards by adding new appliances and landscaping the house with plants native to the area to ensure an optimum use of sustainability. 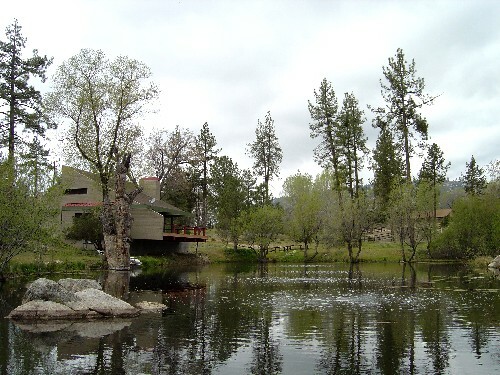 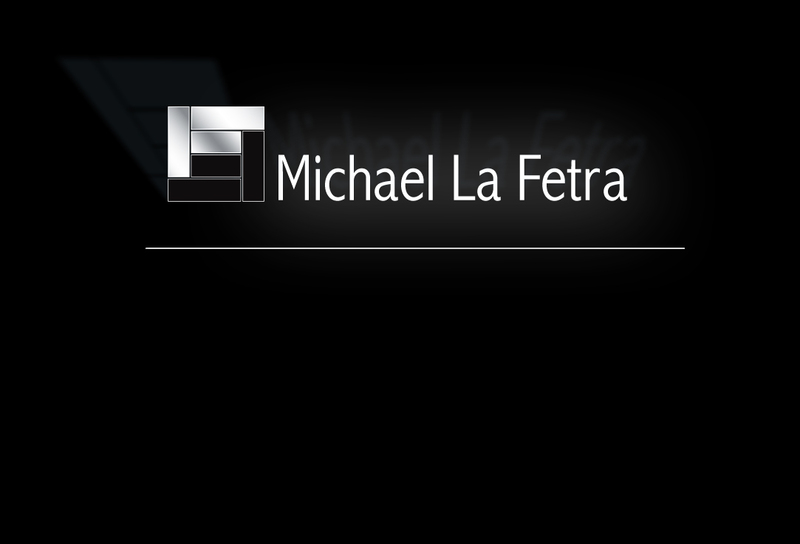 In addition, Michael prevented further degeneration to the house by reconstructing the balcony overlooking the lake, adding a new roof and chimney.